So this isn't exactly a holiday post but since I have made a few gifts for loved ones this season that I can't show you yet (in case they are reading) I wanted to show you one I made for one of my best friends this year. 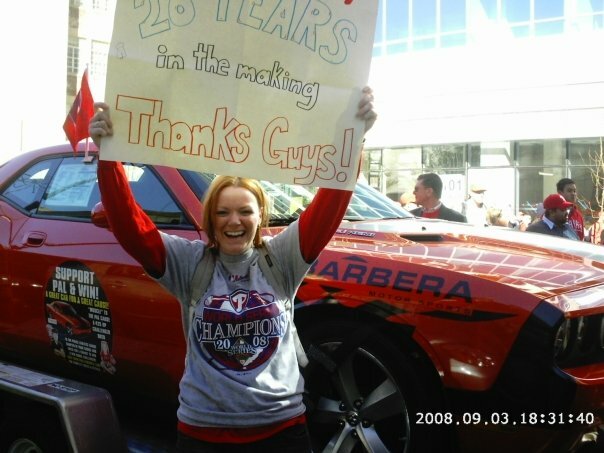 She is a die hard Phillies fan...to say the least. I do not usually paint family and friends anything because I am pretty critical of my work and I never know what to paint them. But when it was time to shop for this girl I was drawing blanks on something new and different. 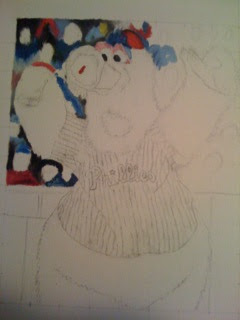 So I began to think about what she loves and what I can paint that would have meaning and be fun. Then this wonderful "creature" came to mind. 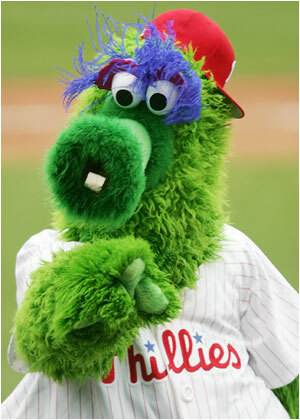 If you live on the east coast or love baseball than you know that this is the Philly Phanatic. 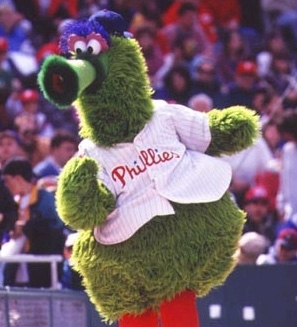 He's a big, furry green creature that entertains thousands of people all season long. Looking at him makes me smile. It doesn't hurt that he has some killer dance moves. :) Tell me you don't want to dance with him ...you can't right?! 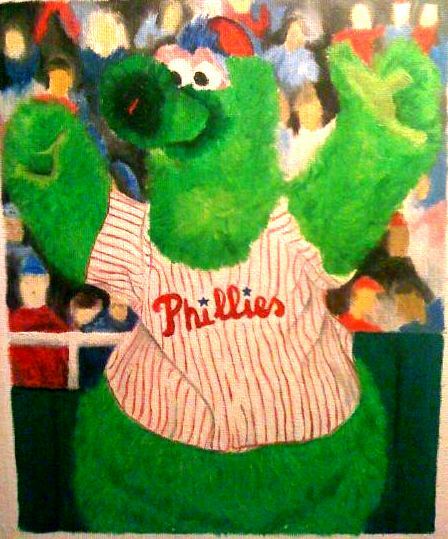 Anyway, now that I had my muse I got to work sketching him out on a 11X14'' canvas. I wanted to use oils because it had always been my favorite medium to work with and I could get really detailed when it came to this lovable guys fur.A week in, it was starting to look like this. Not much right? I have to admit, it took awhile to sketch out the body.I started with the background because it was the easiest part and it would help set the stage on the colors I would use on him. By week two it was really starting to come together. You could say I was in a groove. I was really starting to actually like it! I thought about keeping it for myself a few times but I know it would have a better home with my friend. 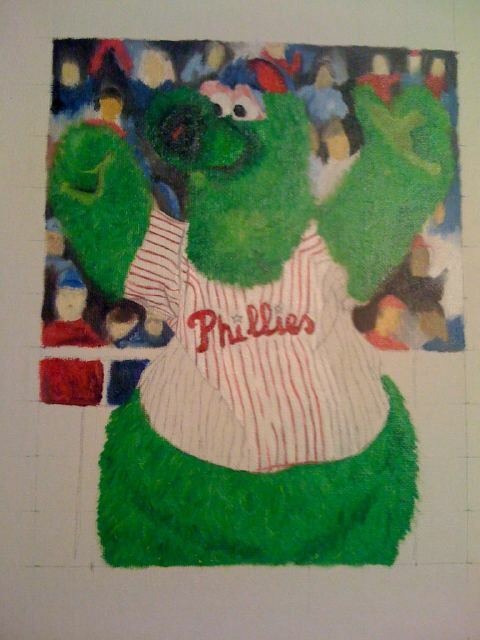 I finished the stadium and made a few touch ups and was left with the final Philly Phanatic. I LOVE IT! I think it came out really great. 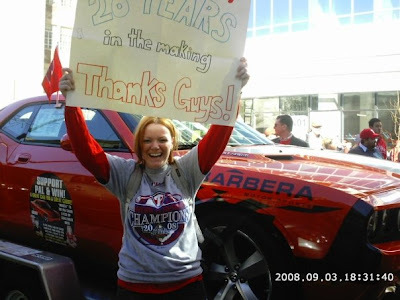 It wasn't easy and I definitely was ready to throw it against the wall at times but I was really happy with it....and most importantly- so was my friend! Yay for homemade meaningful gifts. Sometimes they can be labor intensive but it is worth it. Are you making any homemade gifts for the holidays? Do you get as frustrated as I do? Do any of them involve a giant green creature?